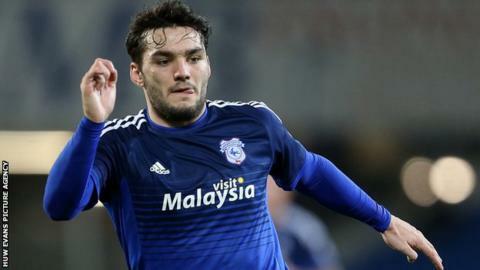 Charlton Athletic have rejected Cardiff City's request to extend the loan of striker Tony Watt. Watt was not involved in Cardiff's matchday squad for Saturday's 3-1 win at Wolves in the Championship. The Bluebirds were keen to extend Watt's loan spell in Wales but the Scot has returned to Charlton. "We put it on the table but they were not interested in the loan," Cardiff chief executive Ken Choo told BBC Radio Wales. "They said no." Choo also revealed that Cardiff, who have been hit with a transfer embargo, are hoping to sign three players on loan. "We are in line to sign three players and are actually working towards that," he added. Watt scored two goals in nine appearances for Cardiff since arriving on loan in November 2015. Cardiff had been confident of signing the former Celtic striker on a permanent deal. But the Welsh club have been placed under a transfer embargo by the Football League following a breach of Financial Fair Play rules. The embargo will be in place for the rest of the January transfer window.